Materials commonly used in clear sunscreens harm marine life. Research shows sea urchin embryos, plankton and coral all affected. Researchers from the University of California showed that Zinc Oxide Nanomaterial (ZnO) made developing sea urchin embryos more sensitive to other chemicals, blocking transporters that would otherwise defend them by pumping toxins out of cells. Nanozinc oxide is used as an additive not only in sunscreens but in toothpastes and beauty products as well. Another nanoparticle commonly used in sunscreen is titanium dioxide (TiO2). Nanomaterials are tiny chemical substances, which are about 100,000 times smaller than the diameter of a human hair. When people wearing sunscreen go to cool off in the sea, the nanoparticles in sunscreen wash off. Research by Spanish scientists David Sánchez-Quiles and Antonio Tovar-Sánchez has shown that titanium dioxide and zinc oxide nanoparticles from the sunscreen produce significant amounts of hydrogen peroxide, a strong oxidizing agent that generates high levels of stress on marine phytoplankton. Conservative estimates for a Mediterranean beach reveal that tourism activities during a summer day may release on the order of 4 kg of TiO2 nanoparticles to the water, with direct ecological consequences on the ecosystem. The researchers concluded that titanium dioxide from sunscreen was largely responsible for a dramatic summertime spike in hydrogen peroxide levels in coastal waters. 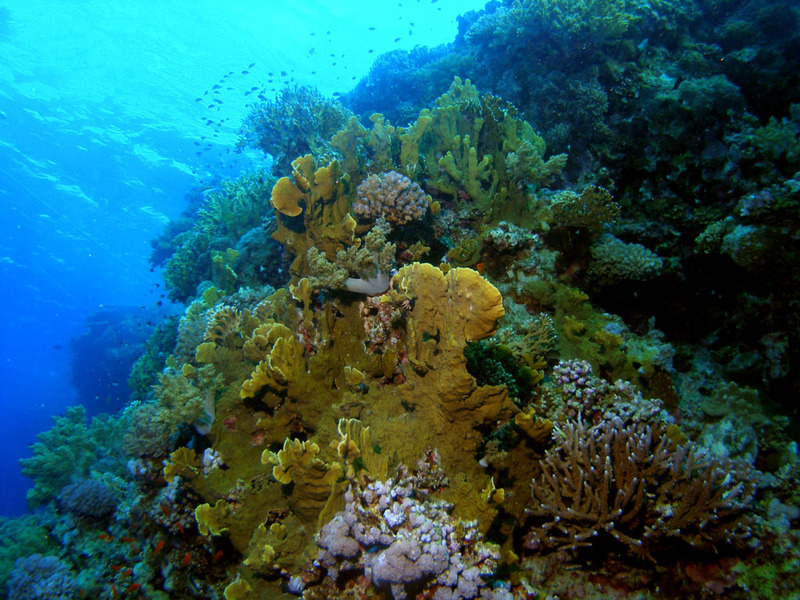 Titanium dioxide nanoparticles also increase stress in reef-building corals. Adding to the warming pressures they already face in parts of the world. Zinc oxide and titanium dioxide have been used in sunscreens for decades, but in the form of big particles. They reflect not only ultra-violet light but visible light making them and the sunscreen appear white. When used as minute nanoparticles, the sunscreen looks clear. This type of sunscreen is popular because people can spray it on, it feels lighter and it needs reapplying less frequently. But evidence is mounting of the harm it does to marine life.